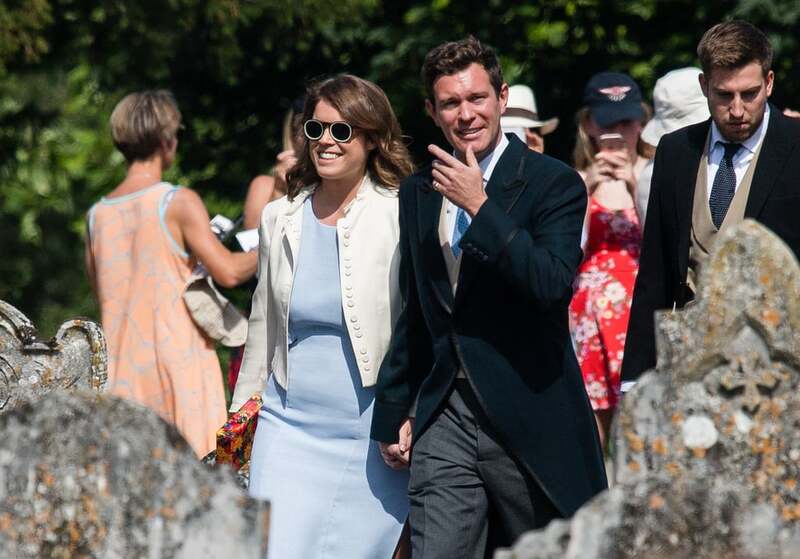 When Princess Eugenie attended the wedding of Charlie van Straubenzee and Daisy Jenks, she wore a stunning baby-blue dress by Whistles with two daring side cutouts. 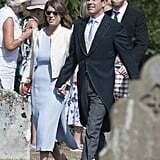 Styled with a short white jacket from Topshop, a Charlotte Olympia floral clutch, and neutral heels, it was a chic and proper ensemble — but Eugenie managed to add a touch of fun with one simple accessory. To finish off her outfit, the stylish princess opted for a pair of black round sunglasses by the brand Mr. Boho, which featured a white trim and immediately took us back to the '90s. Ahead, take a closer look at Eugenie's jazzy sunglasses, and then shop similar pairs for yourself, including the same model, which is still available in a different colour.